Classic cord from the inventors of modern rope (a.k.a. Kernmantle). The Powerloc Expert SP accessory cord from Edelrid is very hard wearing with low elongation and excellent knotability. It’s made in Germany and has earned the bluesign® label, meaning it comes from certified sustainable sources and uses eco-friendly manufacturing techniques. Priced per foot. Special sheath construction makes it easy to tie knots. Helpful fleck marks indicate the diameter so you don’t need to carry calipers. Tested by a UIAA-approved institute for breaking strength. First rope to meet the bluesign® standard for environment-friendly textiles. Hey there! Wondering why people don't use accessory cord for rapping? Are they not dry treated? Seems like it would be a lot cheaper than buying a rap cord! Hi Brendan, there are definitely people who do use accessory cord for rappelling. There reasons why it is not advisable, though. Accessory cord is generally lower in strength, has a less durable sheath for resistance to sharp edges, and is more prone to kinking/knotting at bad times. While you're right that there's a little bit of a savings possible, it's usually not worth it due to the extra problems and lack of durability that can come from accessory cord. Hello! 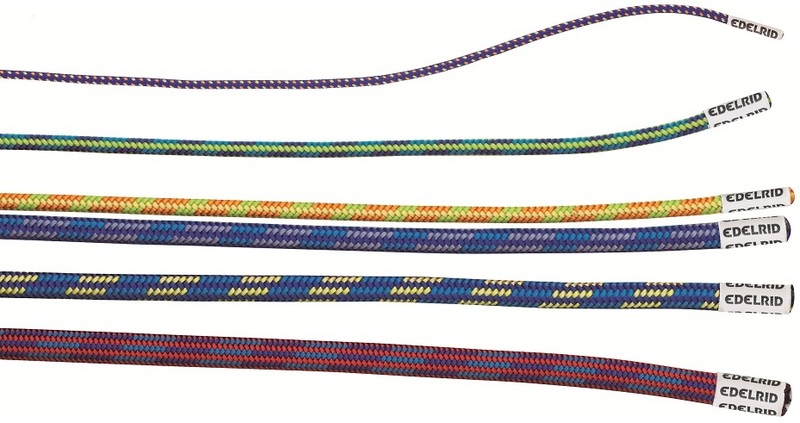 I'm looking to purchase some Edelrid accessory cord. I'm wanting specific colors. It's kind of hard to tell what's what by the image, the colors don't seem to match up by the color descriptions. Are there colors that aren't in the photo? Do you have any better info, that can help me choose the right ones? Perhaps even what sizes the ones are in the photo. I look forward to hearing back from you! Thanks! Hey Heather! Ha, yeah it's pretty tough to tell exactly what is what, sorry for the somewhat confusing image. What's your preference on color? Maybe I can find what you're looking for! Can I buy an entire spool? What size are you looking for? We'll see if we can make it happen by looking into availability! Is the price per foot? Hi jfsdfadsv, yes it is priced per foot.